Many homes in the UK today have beautiful sash windows, and these windows come with many advantages. For example, they can easily be closed part way to allow for air circulation in times of wet or damp weather. Sash windows are also very durable and long lasting. However, if you want to get the best performance from your windows, sash window draught proofing is advisable. 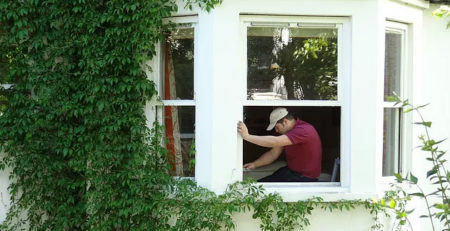 Today’s sash window services have several methods for draught sealing your windows. For instance, it’s possible to install special draught proofing brushes called weather-pile. With expert knowledge, specialised equipment and sash window materialist is quite straight forward to fix and refurbish a sash window leaving it fully draught proofed and functional. Window professionals can also install what is known as secondary glazing. In essence, another set of windows is installed in front of the current ones. This provides for a double seal and gives you the benefits of double glazed windows. Not only does this seal off air leaks, it also provides an air space in between the windows that acts as an effective thermal insulator. When you draught proof your classic windows you will notice many benefits and when combined with secondary glazing or double glazed sash windows that retro fit your existing frames the effects can be very dramatic. Perhaps the most important benefit is the energy savings you will enjoy. The biggest heat loss that a house can experience comes through its windows, and once you eliminate draughts in the house, it stays warmer in winter. However, the home also will stay cooler in summer. The better your house is sealed, the easier it is on your home cooling and heating system. This can greatly increase its efficiency, which means you need less energy to properly heat and cool the house. The savings can add up over the years. When your heating and cooling system is efficient it creates a more comfortable indoor environment. This is especially important in times of cold weather. For example, you may not have to dress warmly while indoors, and this can make life a little more convenient and easier. If your neighbours make noise during the daytime or perhaps in the evening, this can be a real problem in some neighbourhoods. For example, when children are out of door playing they enjoy yelling and having fun. 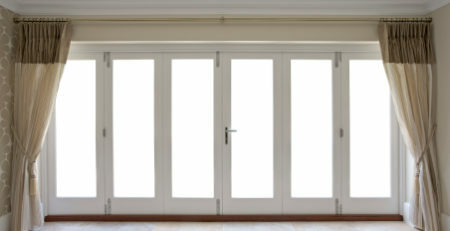 Once your windows are properly sealed it may make a big difference in the amount of outdoor noise that you experience. This can be a major improvement for houses that are near busy streets, as the sound of traffic can be very disturbing. With less noise to deal with, you may be able to enjoy your favourite television programs, listen to music, read, or just relax and enjoy yourself in a quieter home atmosphere. On windy days, old sash windows can be very noisy if there are draughts coming through them. In fact, you may hear strange or odd noises that can be disconcerting at times. Your sash windows may rattle about in the wind but once they are properly renovated and draught proofed you will not hear these irritating noises to the same degree as before, a fully overhauled sash window will not rattle and should function as intended. Maybe you have thought about installing all new wooden windows in the home. This will increase your home’s efficiency but can be a major expense. In fact, the cost of having all new timber windows installed may be beyond most household budgets these days, and there is a more sensible solution. You can hire a professional sash window repair service that knows all about wooden box sash windows, and they can make your windows energy efficient and more attractive without having the need to fully replace them. When you choose to keep your old windows, your house maintains its original integrity. This is important for many UK homes these days, and if you are in the process of restoring an older house, the last thing you want to do is change its appearance. A reputable sash window service can not only seal your windows, they can make necessary repairs without altering the look of your house. Maybe one of your windows is difficult to open or close. This could be caused by one of its internal components It is not hard to fix these types of minor problems when you use the right service. 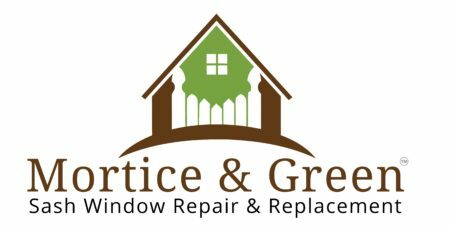 If you are interested in saving money on energy and enjoying a more comfortable and quieter home, contact the Mortice and Green sash window company about their services. They will be more than happy to visit your home and discuss your needs. In fact, they will inspect all of your windows and provide you with a written estimate for their services. In addition, all of their work is guaranteed to your satisfaction.